Studying abroad is extremely exciting, yet it is only normal that we all have doubts or fears before arriving. 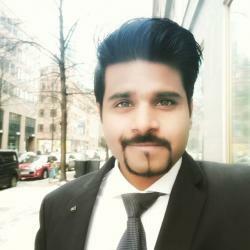 I moved from India to Germany to study among people from different cultures and my experiences along the way would help you ease your transition. Walking down the streets of Mumbai in India, I was planning my travel to Germany to pursue the Frankfurt School Master of Finance. The traveller’s anxiety had caught up with me and being away from my family and friends for two years seemed a daunting task. As I inched closer to my departure date, I heard multiple perspectives and suggestions regarding life in Germany. A common myth I heard was that Germans are reserved and quiet. I became concerned about settling in. Would it be difficult to make friends with the hosts? One week into my course and I was already discussing my career plan with my new German friends, understanding their market and seeking guidance regarding my profile. Not only did they help me with valuable advice on job markets but also on CVs and cover letters. My entire perspective changed in just a moment. Today, as I sit in my class with students from different countries, I feel comfortable with socializing and learning from them. This is what I expected from a global business institution such as Frankfurt School. Frankfurt was an obvious choice with the post-Brexit dilemma that everyone is reeling from. It has established a name for itself in finance and everyone, including me, wants a part in the action. Moreover, the recognizability of Frankfurt School outside Germany was an essential metric for me to make a final decision on pursuing my Master of Finance here. Coming from a India, a competitive market, I knew that the grind here is also tough. Yet, I look forward to working my way up through this challenging journey and gaining international exposure. Frankfurt is the right location to gain access to German financial institutions. Before coming here, I had my reservations regarding the German language proficiency and the weight it holds regarding employability in Germany. However, with two years to learn the language and plenty of career development opportunities offered by Frankfurt School, one can work towards making a smooth transition into professional life. The Career Services at Frankfurt School thoroughly support you in developing an attractive profile for the market. It is necessary to be on your toes to fetch new opportunities but although the grind may be tough, it is not an impossible task! Networking events, welcome parties and other social events during the orientation week helps you to connect with the peer group and future course mates. I believe I have many outward-going, amicable people in my batch as I was able to make good friends from our very first event. Everyone is interested to know about the other culture and ready to share great insights. It was interesting to know how many people actually knew about India and its culture. As for Indians, we are social butterflies as we grew up among different communities, and thereby, are open to connecting with any peer group. We are good hosts and love to plan a party. Need help scheduling a great social event? Call us! 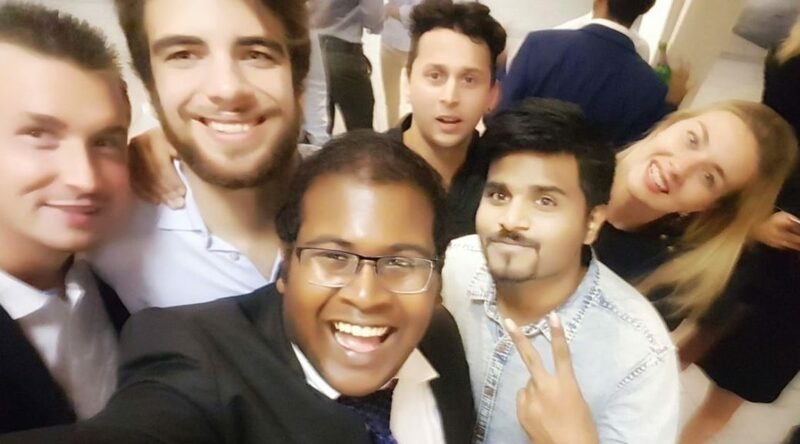 This post is part of the “An International Student at FS” blog series, covering different nationalities at Frankfurt School. This blog series aims to highlight different cultural perspectives and help you integrate with your international class mates at Frankfurt School.